The Indian Government is at it again and this time at a much bigger scale. We are obviously referring to the recently announced mega spectrum auction of nearly 2300Mhz of spectrum across various frequency bands. Claimed to be one of the largest spectrum auctions in the country, it will witness the sale of spectrum in 700Mhz, 800Mhz, 900Mhz, 1800Mhz, 2100Mhz, 2300Mhz and 2500Mhz frequency bands. This is also the first time that spectrum in the much-coveted 700Mhz frequency band would be auctioned in India. Predictably the Government is trying to maximize its gains from this spectrum auction. It is anticipated that the Government stands to gain as much as INR5.6 trillion ($82.4 billion), almost five times more than $16 billion generated in the last auction last year. High base price puts the service providers under tremendous pressure. It also means that the Government could experience a muted response to the auction. The service providers have already protested against the high base price. In fact the recent results of the telcos shows that the data uptake is actually slowing down, which is another reason for them to not pay exorbitant price for the spectrum. High spectrum price also means that the capital expenditure to set up network thereafter comes down leading to a substandard or below par network, which is not in sync with the service quality expected by the subscribers. Also, the Government needs to understand that besides Vodafone, most of the telcos own a fair amount of spectrum now and are not under any pressure to procure more at high price. For instance, Airtel, which initially had limited amount of spectrum recently acquired Videocon’s and Aircel’s spectrum to add to its 4G spectrum kitty. The company had earlier acquired spectrum from Qualcomm and Augere as well. In fact Fitch credit rating recently said that they don’t expect Airtel to bid for 700 Mhz spectrum at all. While this is not to say that the India’s largest service provider will not bid for spectrum in any band but it is likely that they would prudently weigh their options instead of going all out. 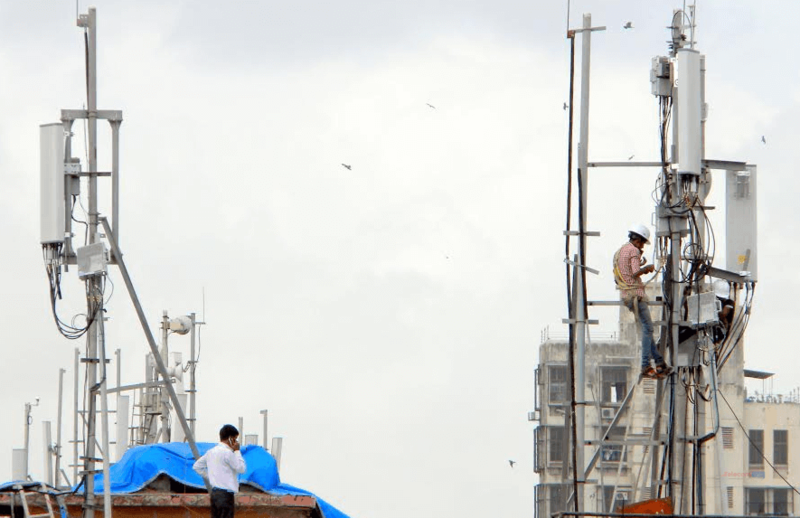 Airtel might decide to go for 1800Mhz or 2100Mhz to add to its 3G spectrum. On the other hand, Idea Cellular may spend a bit to add to its 4G spectrum in the coming auction. The company has marked capex of INR 60 billion for the current financial year. There are a few key circles, like Delhi, where it is crucial for Idea to acquire spectrum. However, the company might decide to go for cheaper spectrum in 2100Mhz or 1800Mhz instead of going for 700Mhz, which is exorbitant. Vodafone, which is planning to go for IPO post auction, lacks 4G spectrum in key circles and might have little choice but to acquire expensive 700Mhz or other 4G bands in these circles. The company is believed to be in talks to acquire Telenor’s Indian operations. Reliance Communications has a tie-up with Reliance Jio and is unlikely to bid aggressively for spectrum. Because of this tie-up with RJio, the company is in a good position to offer 4G services to their subscribers. They have also initiated the process of closing down CDMA network in the country. RCom has started offering RJio’s 4G services to its customers in some parts of the country. The most contentious pricing is that of 700Mhz, which is priced at nearly $1.7 billion per Mhz. The service providers have requested the Government to delay the auction of this particular band. The 700Mhz band is known to be more spectral efficient and so leads to reduced capex for telcos. But even so, it seems to be over priced especially if one considers that the ecosystem for this particular band is hardly developed in the country. The Indian telecom industry has a debt of around INR3.8 trillion at the end of 2015. The forthcoming auctions might just push the industry further in debt or the Government might experience. Who is going to bid aggressively this time do share your views. will airtel buy 3G License in Kerala ?